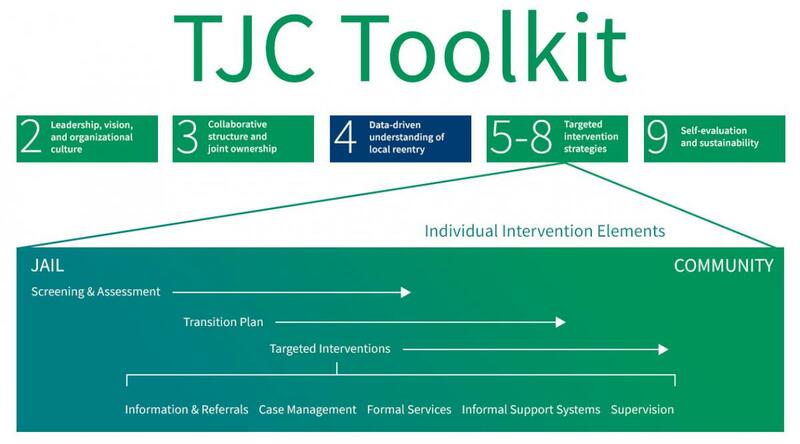 This visual indicates where Data-Driven Understanding of Local Reentry fits in the TJC model. Welcome to Data-Driven Understanding of Local Reentry. This module provides you with information on the essential role reliable data play in successfully transitioning people from jail to the community. 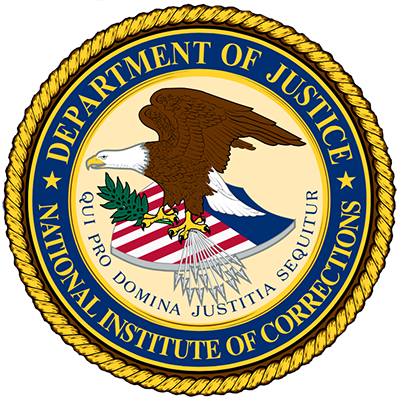 We all know that agencies within or related to corrections collect all types of information or data. For our purposes, we simply want you to ask yourself what information you need to develop effective jail transition interventions. What do you need to know about the jail population and their needs, and about the capacity of existing programs to meet those needs? Improve your understanding of the risk and needs of people transitioning from jail to the community. Determine the resources available and accessible to meet their needs. Help develop strategic initiative plans. Monitor the success of the transition process. Allocate your resources wisely to realize the best possible organizational/system outcomes. By the end of this section, you'll understand the importance of using a data-driven approach to inform your decisions and shape your responses. You will also begin to identify what data or information might be helpful to inform and evaluate your efforts. This module also includes a list of resources after each section to help in the process. In this module, you will have the opportunity to explore the importance of using a data-driven approach when implementing the Transition from Jail to Community (TJC) model in your community. Download Module 4 in PDF format. 1 Randy Demory, “Measuring What Matters,” Large Jail Network Bulletin (Washington, DC: National Institute of Corrections, 2001), p. 3.